Pioneers in the industry, we offer Fuel Cell from India. Fuel cells are a potentially game-changing technology for mobility and power generation. Fuel cells offer electrical efficiencies above 60%, zero emissions and completely silent and vibration-free operation. The cost of fuel cells has been significantly reduced over the past decade, meaning that they offer a viable business case today for lots of different customer applications. Fuel cells are today already commercially available in many different application areas from small power up to megawatt range.Fuel cells generate electrical energy from hydrogen, both efficiently and without emissions. The most advantageous applications are fuel cell vehicles (FCEV), fuel cell range extenders, portable generators and stationary decentralized power generation. Based on reformer system also nearby all conventional (fossil fuels) or future biofuels (GTL, BTL, bio-methane,...) can be used in fuel cells. By taking advantage of unique synergies with AVL Instrumentation and Test Systems and AVL Advanced Simulation Technologies, AVL can offer highly creative, mature and application-specific solutions for our customers to meet their future market challenges. 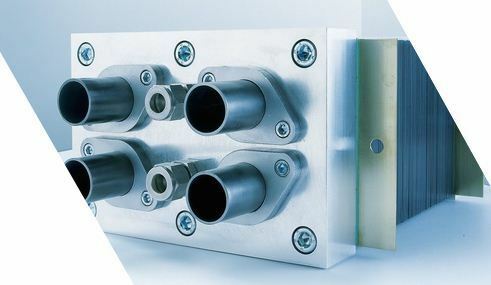 Since 2002 we did numerous (>50) successful fuel cell development projects for car-, fuel cell system-, stack- and component manufacturers in the field of SOFC as well as PEM technology in all around the world.